Toyota, Holden and Ford are among the top vehicles our mechanics have completed service work and repairs to on site in your area. Attending to all vehicle makes and models on site, jobs for local cars in your area have included Great Wall, Volkswagen and Jaguar. Our mechanics have sourced the highest quality parts, spares and consumables quickly and efficiently and arrive with parts like exhaust, ball joint replacement and wheel bearing ready to use. Just let us know what type of work we’re attending to and we’ll arrive equipped for the job, no workshop needed. Lubemobile mechanics are available wherever you are like in St Lucia. We attend to your vehicle wherever it is which includes anywhere from Clayfield, Bridgeman Downs and Bowen Hills, and anywhere in between. 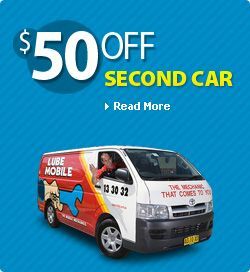 We are Australia’s #1 mobile mechanic fleet attending to you when you need us. You can get your car serviced on holiday. Have the tyres replaced or rotated at work. 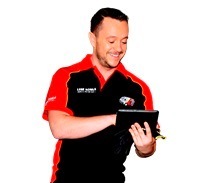 Our mechanics have serviced over 2,213 vehicles in your area over the past 3 months alone. Have a Log book servicing completed entirely on site at your home address. Or our mechanic specialists can travel fully equipped to wherever you specify to carry out work including replacing leaking and worn shock absorbers and fixing noisy bearings. We service and repair all vehicles including Saab and Mercedes. Your mechanic arrives within your specified time window and carries out everything on the spot. We do not make unauthorised repairs and you’re kept in the loop with what your vehicle needs and why. In recent months we have received over 45 positive reviews from our happy in the Brisbane Metro. Book a mobile service or repair today for wherever is the most convenient location and time for you, and have one of our 38 in Brisbane Metro attend to your vechicle today.